Miami reminds me of Las Vegas in the way that there are fake versions of familiar New York things. 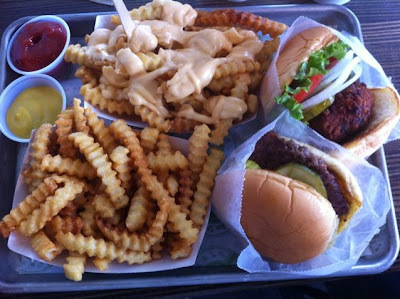 Kat and I went to the new Shake Shack for lunch. She had a Shroom Burger with cheese fries and I had a hamburger with regular fries.